Soulja Boy has returned with his Soulja Electronics online shop. His previous SouljaWatch website had been taken offline and the Chicago-born rapper alleges that this action was undertaken by a former employee. Since then, Soulja Boy hasn’t been able to sell any of his electronic wares online. 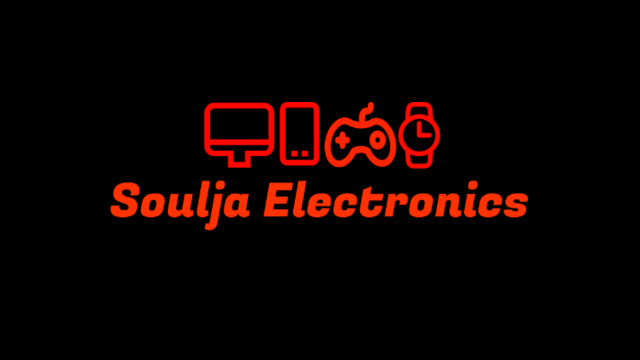 That’s now been corrected with the launch of Soulja Electronics, a brand-new website carrying many of his former products (along with a few new ones). As with many of his previous endeavors, many of the items are simply regular tech pieces that are available elsewhere. The Soulja PS4 keyboard appears to be the Prodico 2.4G Wireless Keyboard, the Soulja VR Headset is the VR Shinecon, and the Soulja Gaming Headset is the DIZA100 Kotion Each G9000 Gaming Headset. Interestingly, while the headset and VR headset are cheaper on Amazon, the PS4 keyboard actually appears to be at a cheaper list price on Soulja Boy’s website. There is one noticeably absent product line from the Soulja Electronics website. Not a single gaming console is available for sale. While the first wave of his gaming consoles had halted their sales following a potential lawsuit, he returned with a new SouljaGame Handheld. For now, it seems that Soulja Boy’s involvement in the gaming world will largely be focused on streaming and selling peripherals until he comes back with a console or finally gets around to launching his esports venture. If you’d care to see what’s on offer, you can see what Soulja Boy is selling on the Soulja Electronics website.